Peru is a dream destination for the armchair anthropologist and archeologist. From the colorful dress of the native Quechua to the astounding Inca ruins that abound, the treasures of Peru, both living and ancient, are abundant and fascinating. We invite you to join us on a remarkable journey of exploration, accompanied by bilingual, entertaining, and knowledgeable guides who will proudly share with you the people, culture, and history of their amazing Andean homeland. The trip will begin in Lima—once one of South America’s gems, where the history and the world class cuisine will impress Then, off to Cusco, the center of the Inca civilization, for an in-depth exploration of Inca ruins, Spanish architecture, and thriving modern Quechua culture. The tour descends down into the Sacred Valley of the Incas, then by train, to the crown jewel of our journey—Machu Picchu. All accommodations are in elegant, boutique hotels and all tours contain our signature “magic” touches to make for an unforgettable vacation. Arrive in Lima. A Bio Bio Expeditions Perú representative will meet you at the airport and take you to your hotel to rest after the long flight. Most flights from the US arrive in Lima at night. Overnight at the Hotel Casa Andina Private Collection Miraflores. After a delicious breakfast at the hotel we will enjoy a city tour of Lima. Lima was once a gem of South America – located on the Pacific it was an important part of the Inca empire. There are fascinating historical districts and buildings from the time of the Conquistadors. Currently Lima is famous for its delicious, innovative cuisine. You will have a chance to sample some of Peru’s signature dishes at lunch and dinner. After lunch, in the afternoon we will visit the Gold Museum, a Peruvian marvel, full of treasures from the Inca Empire. You are free to choose a restaurant for dinner – anything from traditional Peruvian cuisine to one of the many avant-garde restaurants that serve South American specialties with a modern touch. Sleep well because the next day we have our flight to Cusco. Short, spectacular flight from Lima to Cusco. You will be met at the airport and drive by private transport to the Sacred Valley of the Incas – approximately 1 hours drive. We will have a delicious lunch, check into our beautiful hotel, then enjoy a free afternoon to go for a walk, take advantage of the hotel spa services, or just relax! In the morning our private transport will pick us up to visit Maras and Moray. Moray is a place of depressions, or, natural gigantic holes up high above the Sacred Valley. The Incas used these natural depressions to construct farming terraces with irrigation canals. The fascinating aspect of this deep, circular series of terraces is that the temperature fluctuates as much as 15 degrees Celsius from top to bottom. So, the Incas used this as an agricultural test site to see what crops grew best at different altitudes and temperatures. From here we will pass a typical Spanish village, Maras, and enjoy a delicious lunch. Towards the northwest of the village of Maras we will explore the famous “salineras” or ” salt pans” that have been in continuous use for centuries. We will return to our hotel which has a full, upscale restaurant. We start the day visiting Pisac, the ruins and also the colorful market. The Pisac ruins give insight into the Inca’s advanced masonry skills. The stone has the same copper hue as the surrounding land and demonstrates the Inca’s advanced masonry skills. The views of the Sacred Valley and the towering Andes is amazing. The market is also a good reason to stop here, where you can find some unique and authentic souvenirs. After lunch in Pisac we will transfer back over the pass to Cusco and check into our hotel – a centrally located boutique hotel in a beautifully restored colonial building. You are free to enjoy one of Cusco’s many delicious restaurants. During our Cusco city tour, we will visit the cathedral – a Spanish colonial monument that was built right on top of an Incan temple, the Temple of the Koricancha (a religious center known as the temple of the Sun), and the MAP museum of Pre-Columbian Art. If the Incas were the Romans of pre-Columbian America, Cusco was their Rome. The Incas built a vast empire that stretched from modern Ecuador and Colombia to southern Chile. The empire, much larger in size than any previous new world empire, was called Tawantinsuyo – the “Four Quarters of the Earth.” Cusco was the heart of the empire, and its exact center was considered to be the main square of the city. Cusco today is still laid out much as it was in Inca times. Seen from above, it takes the form of a puma, with the river Tullumayo forming its spine, the ruins of Sacsayhuaman the head, and the main city center the body. The center, or torso, was a tongue of land bordered on the east side by the Tullumayo and on the west by the Huatanay. These two rivers now run under concrete. Cusco was more than just a capital city to the Incas and the millions of subjects in their realm. Cusco was a Holy city, a place of pilgrimage that was as important to the Quechuas as Mecca is to Muslims. Cusco is a hustling and bustling marketplace where goods and services of all kinds meet the eye. The city impacts all the senses as the sounds greet our ears and aromas of spicy local kitchens tantalize our noses. Truly colorful people draw our attention as they busily display their wares. Merchants smile and make a sale with characteristic cheerfulness. A good place to take it all in is the central “Plaza De Armas”, where in the second floor restaurants, you can enjoy a beer or a cool drink and watch the thriving city action from the balconied terraces above. Today we will enjoy a tour of the amazing ruins that surround Cusco. We begin with Sacsayhuaman, an impressive site of monumental stones and excellent architecture. We will continue on to visit Quenco, a commercial and ritual center, and Puca Pucara fortress. Lastly, Tambomachay, a ceremonial center honoring the element of water. Along the way we will have a gourmet, catered picnic amongst the ruins and overlooking Cusco. You can expect tables with linens, chairs, gourmet cuisine and fine wines. In the morning we´ll drive to Chinchero, a farming village dedicated to the production of potatoes and magnificent textiles. Then, to Ollantaytambo, the end-of-the-road. This is a bustling, fun town that maintains its Inca heritage with its intact streets and houses, the temple made of huge stones found on top of a hillside, and the shrines in the middle of gardens with water dripping into ponds and canals. We will make our way to the train station to board our first class train to Aguas Calientes. 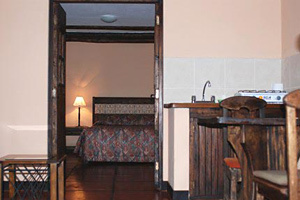 We will stay in a beautiful hotel along the wild Urubamba River canyon. The Pueblo Hotel is a verdant nature sanctuary featuring a nature trail and hundreds of species of orchids. We will get up early this morning to enjoy a full day at Machu Picchu. It’s a short, twisty drive up to the Citadel’s entrance. We will spend most of the day at the ruins with our knowledgeable Peruvian guide who will show us all the wonders of Machu Picchu. There are no words to describe the wonders of Machu Picchu – it must be seen! In the late afternoon, we climb aboard the train for the beautiful ride through the Urubamba River canyon and back to Cusco for a festive farewell dinner. Visit the incredible Lost City of the Incas – Machu Picchu! Entire tour is accompanied by a bilingual, knowledgeable, entertaining guide who keeps your safety as the #1 priority.